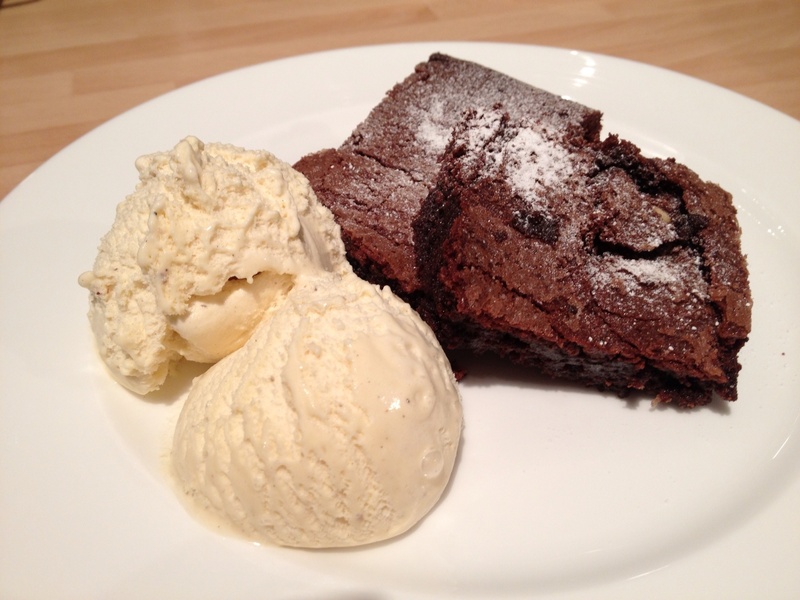 NIGEL SLATER’S “VERY GOOD CHOCOLATE BROWNIE” RECIPE! My jury is still out as to the positive and negative effects of social media. I only recently joined Facebook (previously known as Faceache) to be able to share with my bread/baking friends and so far its brought nothing but pleasure – even putting me back in touch with my American pen friend from my childhood. However, I’ve been on Twitter for some time – feeling that it’s a more interactive media – where you can pull together knowledge and “chat” about relevant subjects. Having recently had a very negative Twitter experience where the previous Mrs W sent me a rather nasty “tweet” (get a life you should be setting a good example) I contemplated coming off it. How glad am I that I didn’t. I love the hash tag real bread discussion nights, I love my communication with farmers and growers and producers and I love the fact some very, very busy knowledgable foodie people take the time to provide support and encouragement. So it was that last night I tweeted a very rushed picture of a very quick decision to make some chocolate brownies when family were coming for supper and there was no dessert or cake in the house. We’d been out all day and once again I looked what I had – eggs, chocolate, flour – and turned to Nigel Slater (not literally – he’s not sat in my kitchen though how wonderful that would be!). That’s how I chose the recipe for his “very good Chocolate Brownie”. I’ve not had much luck with them in the past – too soggy, too dry, not choccy enough but I’d not tried this before so thought I’d give it a go. My only modification was that my gravel sized pieces were white chocolate as I didn’t have enough dark but I quite liked the contrast. They worked perfectly, the family loved them and I tweeted a pic – Nigel responded once again and once again I am thrilled – what enthusiasm he has to encourage and inspire. No surprise that it is his and Hugh Fearnley Whittingstall’s books that are the one’s by my bed, by the sofa and getting more dog eared by the day in my kitchen! 1. Grease and line a baking tin, about 23cm x 23cm, preferably non-stick, or a small roasting tin. 2. Set the oven at 180°C/Gas 4. 3. Put the sugar and butter into the bowl of a food mixer and beat for several minutes till white and fluffy. You can do it by hand if you wish, but you need to keep going until the mixture is really soft and creamy. 4. Meanwhile, break the chocolate into pieces, set 50g of it aside and melt the rest in a bowl suspended over, but not touching, a pan of simmering water. As soon as the chocolate has melted remove it from the heat. 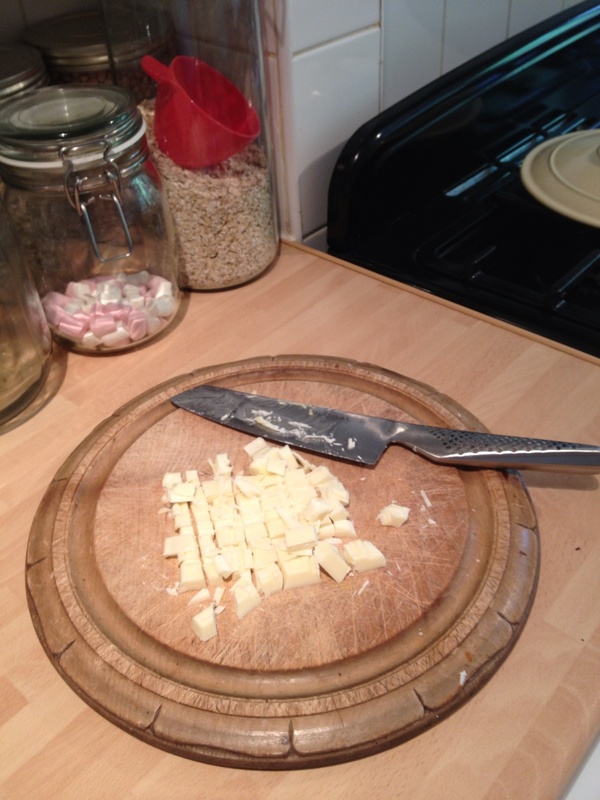 Chop the remaining 50g into gravel-sized pieces. 5. 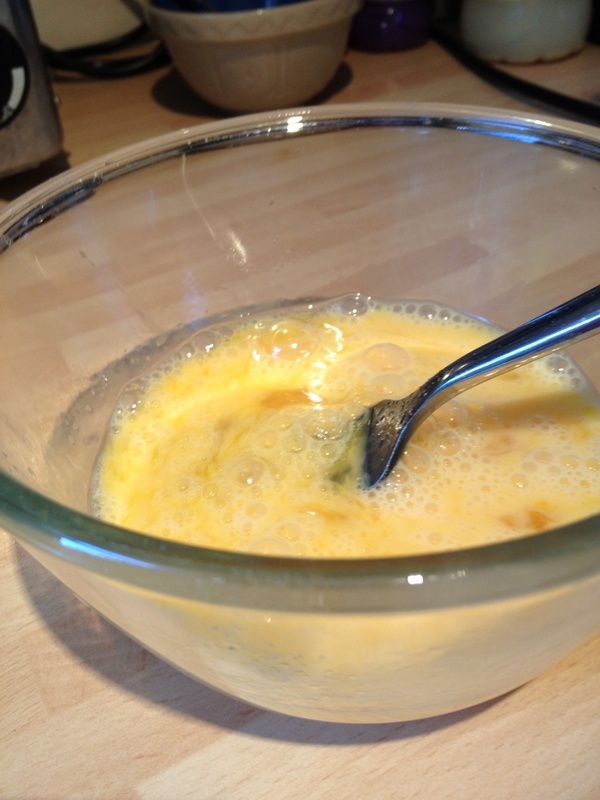 Break the eggs into a small bowl and beat them lightly with a fork. Sift together the flour, cocoa and baking powder and mix in a pinch of salt. With the food mixer running slowly, introduce the beaten egg a little at a time, speeding up in between additions. Remove the bowl from the mixer to the work surface, then mix in the melted chocolate with a large metal spoon. 6. Fold in the flour and cocoa, gently and firmly, without knocking any of the air out. Finally fold in the gravel sized pieces (Nigel adds his with the melted chocolate but mine was still warm so I waited). 7. 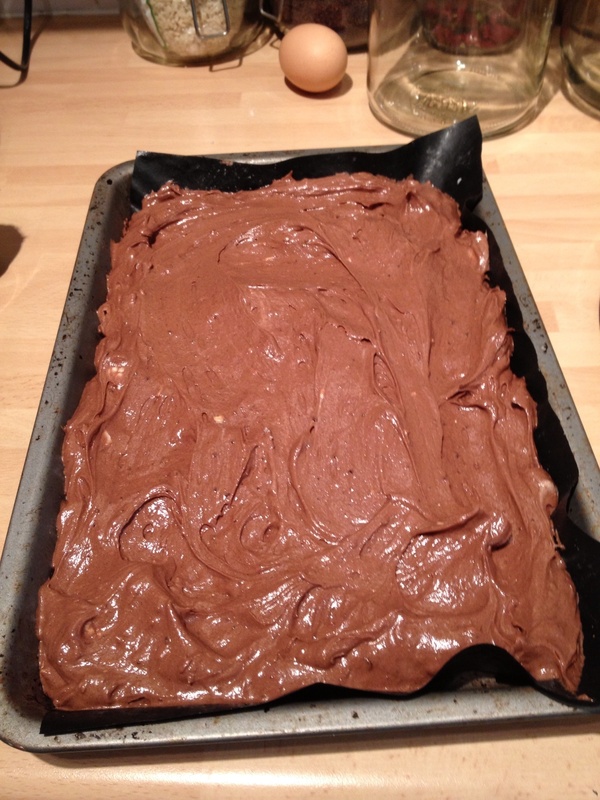 Scrape the mixture into the prepared cake tin, smooth the top and bake for 30 minutes. 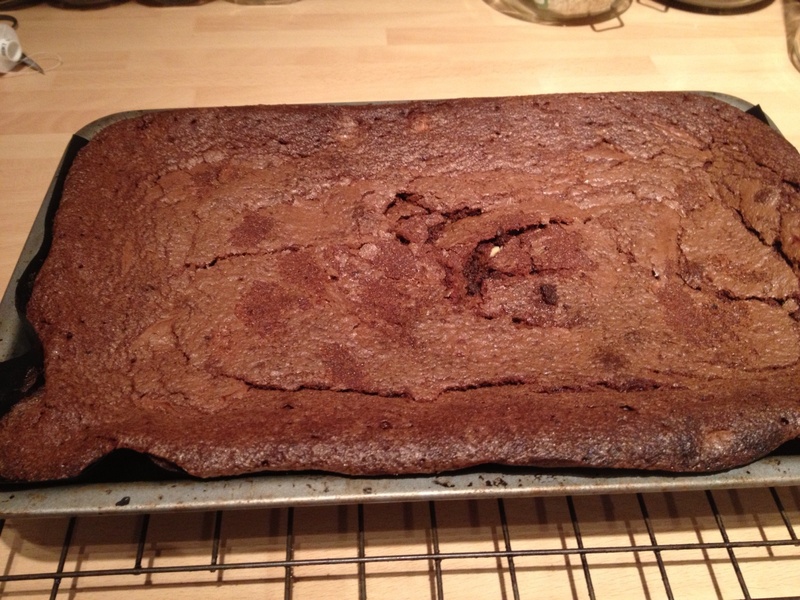 The top will have risen slightly and the cake will appear slightly softer in the middle than around the edges. 8. Pierce the centre of the cake with a fork – it should come out sticky, but not with raw mixture attached to it. If it does, then return the brownie to the oven for three more minutes. It is worth remembering that it will solidify a little on cooling, so if it appears a bit wet, don’t worry.